MTU Onsite Energy offers complete power system solutions: from standard backup to mission critical power to continuous and peak power, to combined heat, power and cooling. Standby applications provide an uninterrupted backup power supply where operations are critical. Gensets from this application group are used wherever power outages put lives at risk, result in economic loss or where an emergency power supply is required by law. Standby Power ratings apply to installations served by a reliable utility source. The standby rating is applicable to varying loads for the duration of a power outage. No overload capability is available. Quoted ratings are in accordance with ISO 3046 and represent maximum power. Max. Operating Hours (per year) 500 hrs. 200 hrs. Data Center Continuous Power ratings apply to data center installations where a reliable utility power is available. The Data Center Continuous Rating complies with Uptime Institute Tier III and IV requirements. At constant or variable load, the number of operating hours is unlimited. Quoted ratings are in accordance with ISO 3046 and are capable of 10% overload. Prime power applications are designed to operate for long periods. They are primarily used in remote locations with limited access to the public utility grid or for continuous power generation applications such as combined heat and power production (CHP) or biogas applications using an opportunity fuel source such as landfill gas or digester gas. Continuous Power ratings apply to installations where one or several generator sets serve as utility power. 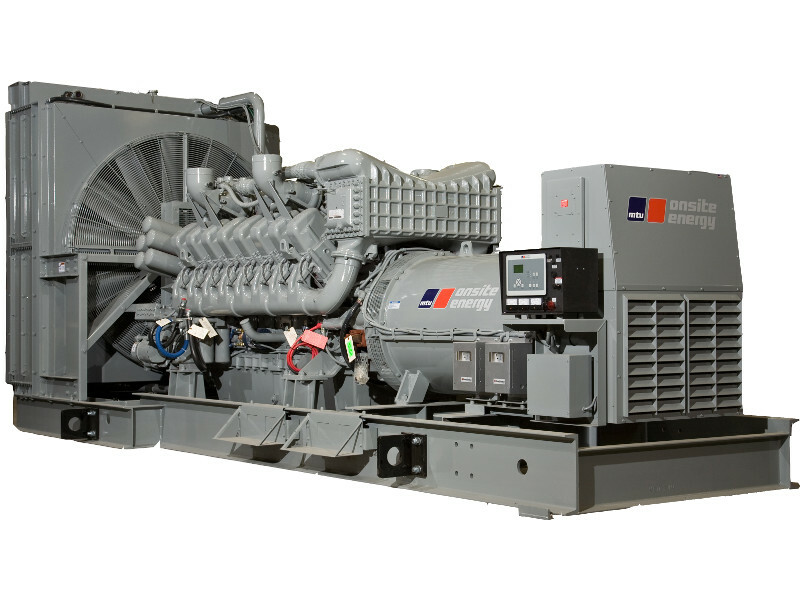 At constant or varying load, the number of generator set operating hours is unlimited. Prime Power ratings apply to installations where utility power is unavailable or unreliable. At varying load, the number of generator set operating hours is unlimited. ISO-8528-1:2005 - This is an industry standard that defines the performance parameters required in various onsite power applications. Generator set manufacturers’ ratings - Certain manufacturers have ratings that exceed industry standards or take exception to certain operating parameters. Governmental regulations on engine emissions - The U.S. Environmental Protection Agency has environmental ratings and regulations for generator sets that vary by drive-engine horsepower and application. Application-specific industry standards - Various organizations and industry segments have created custom ratings to fit particular operational needs. ISO-8528-1:2005 defines basic generator set rating categories based on four operational categories: emergency standby, prime power, limited time prime and continuous power. In each category, a generator set’s rating is determined by maximum allowable power output in relation to running time and the load profile. Ratings such as total kW output, running time, load factors, emissions regulations, seismic compliance and more all have to be defined for every installation. In addition, while most major manufacturers of generator sets utilize ISO-8528-1 (which sets the average 24-hour load factor at 70 percent) as their standard, some generator set manufacturers use a lower 24-hour average load factor. For instance, generator sets with Mitsubishi engines use a 60% load factor. MTU Onsite Energy allows an 85 percent 24-hour load factor on all its standby generator sets (from 230 kW to 3,250 kW). This means system designers can choose equipment that offers a higher average 24-hour load factor, which may, in turn, result in a system with smaller and/or fewer generator sets.